An old school 2D rogue-like platform shooter. Despite the fact of being quite simple, Downwell features extraordinary mechanics and high difficulty level. 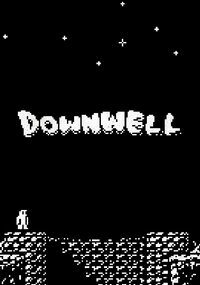 Downwell for PC, AND and etc. is a rouge-like platformer shooter with surprisingly deep gameplay mechanics. This first major production by Ojiro Futomo from Japan is kept in a 2D, old-school style that brings to mind 8-bit computers, like ZX Spectrum. The title was first released on mobile devices using iOS and on Windows computers, then it was ported to smartphones and Android tablets. You assume the role of a hero wearing special gunboots, which combine normal boots functions with military ones. Due to built-in cannons, not only you can shoot enemies, but also crush rocks, and perform air stunts. Placing the action in a narrow, bottomless well which hides numerous treasures – i.e. gems – is an interesting approach. However, gems are protected by hordes of enemies. Downwell’s main objective is to penetrate the procedurally generated well as deep as possible. In the effect, mechanics strongly resemble Spelunky released a few years before. By picking a place like well for placing the action, Ojiro Futomo fundamentally increased the pace and difficulty level – in Spelunky you explore undergrounds in general. He did not forget about implementing typical arcade shooter weapons and upgrades for them. From time to time you can visit a shopkeeper who offers a variety of upgrades (like energy shot). Gameplay is powered by mid-air combos which provide loads of point in a short period of time. Performing combos also regains energy and grants upgrades. Long story short, combos come down to eliminating as many enemies as possible without touching a solid surface. It takes, of course, a lot of practice and skill. The action in Downwell released on PC, AND and etc. is observed from the side view. Visuals feature extremely attractive 2D old-school style. What is more, while designing the game, the creator decided to implement only three colours – black, white, and red. The final outcome neatly integrates with very high difficulty level. The title includes extraordinarily grim soundtrack kept in the 8-bit style.